The following is taken from The Magic of Catholicism, pp. 209-214. 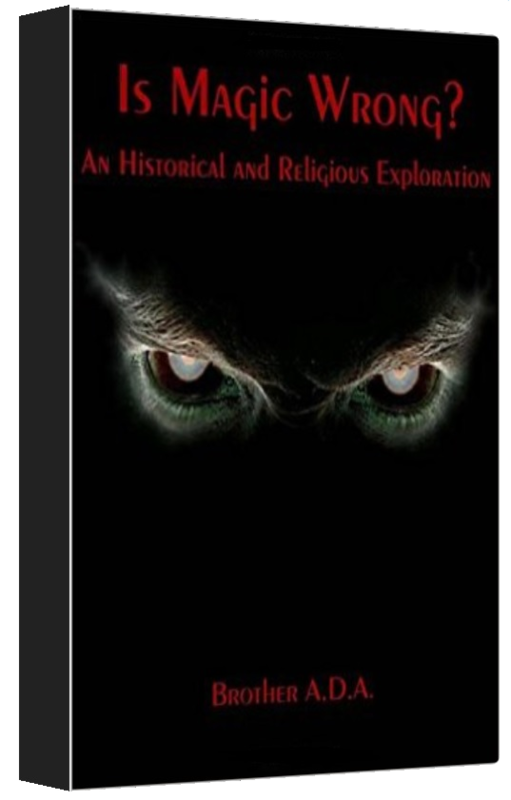 For more information on the Pentagram and how it fits into Christian magical systems, please see this book and Ritual Magic for Conservative Christians. The above quote gives a perfect summation of everything that could be said on the subject. In and of itself, before we consider it a symbol, we must consider the pentagram is first and foremost a geometric shape. Last time I checked, nobody owns the copyright on geometric shapes. While nobody owns a copyright on geometric shapes, things can be said differently once the shape passes on to the realm of symbol, and the pentagram has been used as a symbol by many cultures, including Catholicism. The first recorded appearance of the pentagram took place around the 30th century B.C., where it was used in Sumerian cuneiform as a character for the word ub, meaning “nook” or “corner.” One could say this was no more a symbol than Chinese characters are symbols in the usual sense, or one could say this was symbolic in the sense that all writing is symbolic of the sounds and words it represents. I leave the reader to his or her own conclusions. The pentagram eventually passed to the Greeks, where during the 5th century B.C., the followers of Pythagoras considered the pentagram a sign of ὑγιεία, “health.” In fact it is the word ὑγιεία (ygeía) which gives us the English word “hygiene.” We now come to the Christian era. Just as the letters ὑγιεία were attributed to each point by the Pythagoreans (who still existed in the first centuries after Jesus’ time), so it was easy enough to do with the five letters of the word salus (the Latin translation of ὑγιεία). It is from here that we must pass for about a thousand years in our quest to establish what the pentagram meant for Christians during those ten or so centuries. Pentagram window at First Methodist Church in Warren, Indiana. This church was built in 1897 and used until 2013. First Presbyterian Church in Apache, Texas. Built 1873. Saint Margaret and All Saints Catholic Church in Canning Town. London, England. Built 1876. Saint Barnabas in Bethnal Green Anglican Church. London, England. Built in 1865. Sometimes “over-kill” is the best way to make a point, and I think we’ve done exactly that. Even without primary sources, the existence of the pentagram as a Christian symbol is well-attested since at least medieval times, meaning that there is nothing wrong with a Christian making use of it. Even though other groups have claimed it as their own, especially Neopagans who (following Renaissance Christian magical writers) cite it as a symbol of the five elements – Air, Fire, Water, Earth, and Spirit – or Satanists who invert it thinking it a symbol of rebellion (the “inversion equals evil” idea was invented by Eliphas Levi in the 1850’s! ), we have to remember that a geometric shape is nothing more than a geometric shape, and the symbols attached to it will come and go with the passage of time. Let others have their symbols and attachments to them, and realize they in no way prevent us from having ours. For more information on the Pentagram and how it fits into Christian magical systems, please see The Magic of Catholicism and Ritual Magic for Conservative Christians. Bilardi, Chris. The Red Church or the Art of Pennsylvania German Braucherei. 2009. Pendraig Publishing. Braucherei, also called “Pow Wow,” is a German-American system of Christian folk magic still practiced in parts of Pennsylvania. 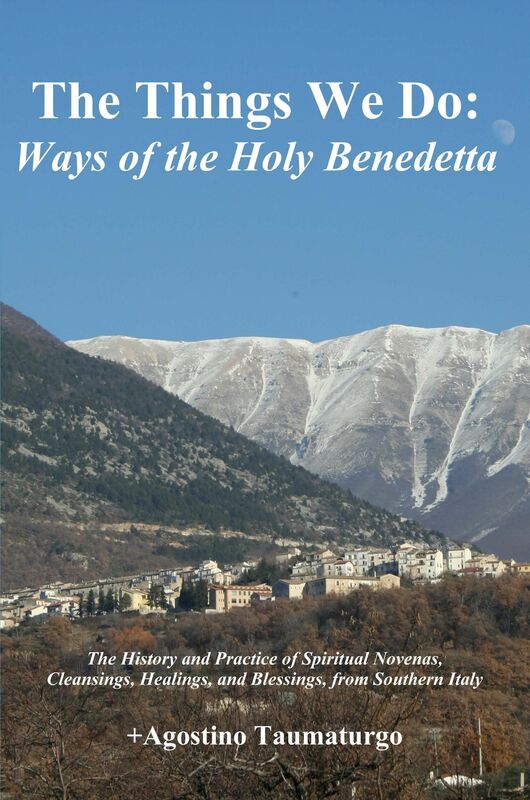 Bilardi’s book is the authoritative modern work on the subject. For a more detailed description of the pentagram of Pythagoras, see: http://web.eecs.utk.edu/~mclennan/BA/PP/index.html. (Retrieved December 2, 2014). Various websites and “dictionaries of symbols” claim the early Christians used the Pentagram as a symbol of health and the five senses, but I’ve yet to find a primary source documenting this. Sir Gawain and the Green Knight. Translated by W.A. Neilson. 1999. In Parentheses Publications. Cambridge, Ontario. Chapter (“Fytte”) Two, paragraph 6. www.yorku.ca/inpar/sggk_neilson.pdf. (Retrieved December 2, 2014). This is illustrated clearly in the poem As a Mydsomer Rose by John Lydgate (1370-1451), who compares the Five Wounds to a “Rose of the bloody field,” and to five wells releasing a red stream to Paradise, “Of whose five wounds print in your heart a rose.” The entire poem can be found online at: http://www.poetrynook.com/poem/mydsomer-rose. (Retrieved December 2, 2014). This entry was posted in Uncategorized and tagged architecture, buildings, christian, christian art, christianity, church, magic, magick, occult, pentagram, theurgy. Bookmark the permalink. Thank you for this great incite! As a Mason I always treasure knowledge! Past or present!